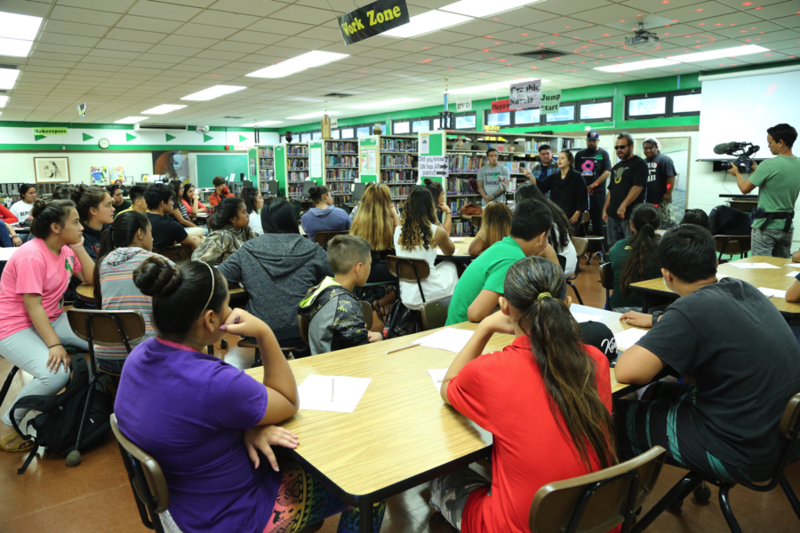 Since 2013, the museum’s Soundshop, a hip-hop education program designed to help high school students develop independent thinking and self confidence, has been working with classes from Farrington High School, Waiʻanae High School, ʻAiea High School, and Pearl City High School. 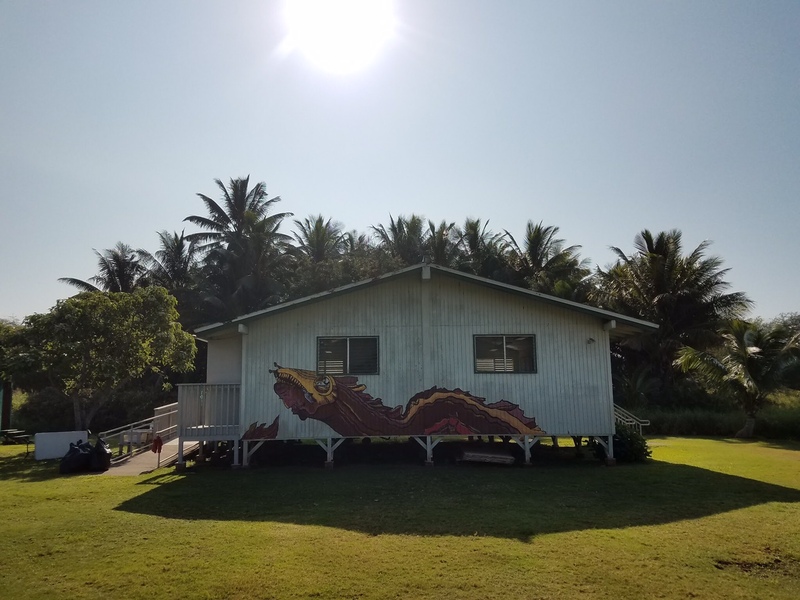 In March, the museum took the Soundshop program off island for the first time—to Molokaʻi, where Hawaiian activist Walter Ritte’s nonprofit Hui o Kuapā and the Hawaiian Learning Center at Keawanui Fishpond served as Soundshop’s living classroom for a weekend. 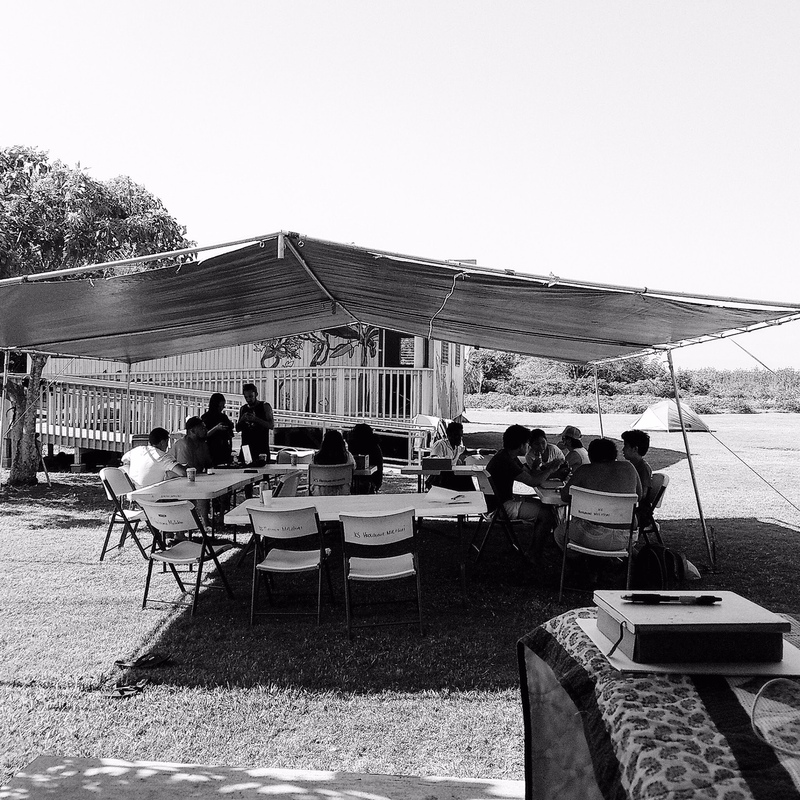 I, along with Soundshop partners and educators the Super Groupers—Navid Najafi, Scott Ohtoro, and Illis It—and respected emcees from Mākaha Punahele and Rukka, flew into Kaunakakai for three days. Our hosts and Keawanui Fishpond caretakers Tanya Maile Naehu and Guy HanoHano Naehu expressed how special the place is. 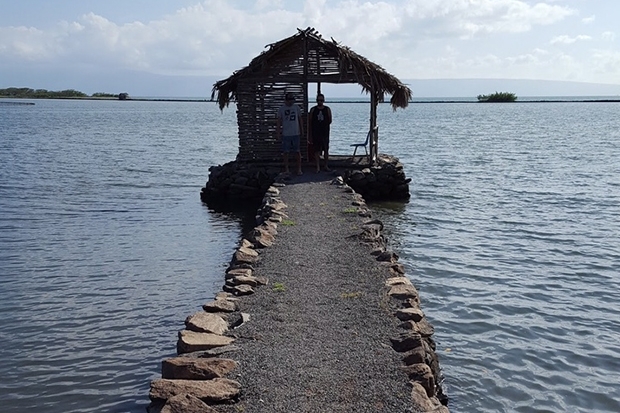 As an axis point of mythology, history, science, environment, language, and art, the land itself provides a powerful space to cultivate not only fish, but also the next generation of community leaders for arts and culture. 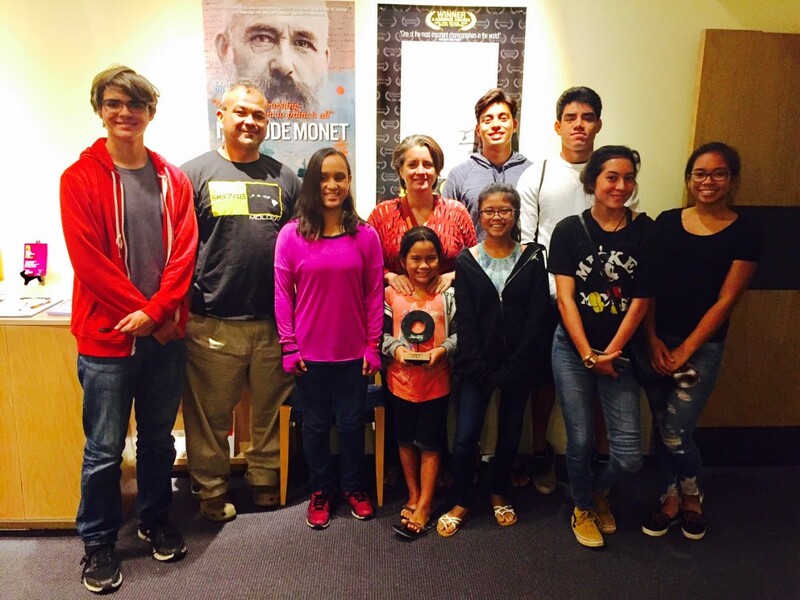 The transformative experience helped prepare a select group of Molokaʻi students to compete in the Pacific Tongues Interscholastic Poetry Slam competition at the Doris Duke Theatre two weeks later. On March 24, a group of Molokaʻi students flew to Honolulu to enter their competition debut—and reunited with the Soundshop crew at the museum. 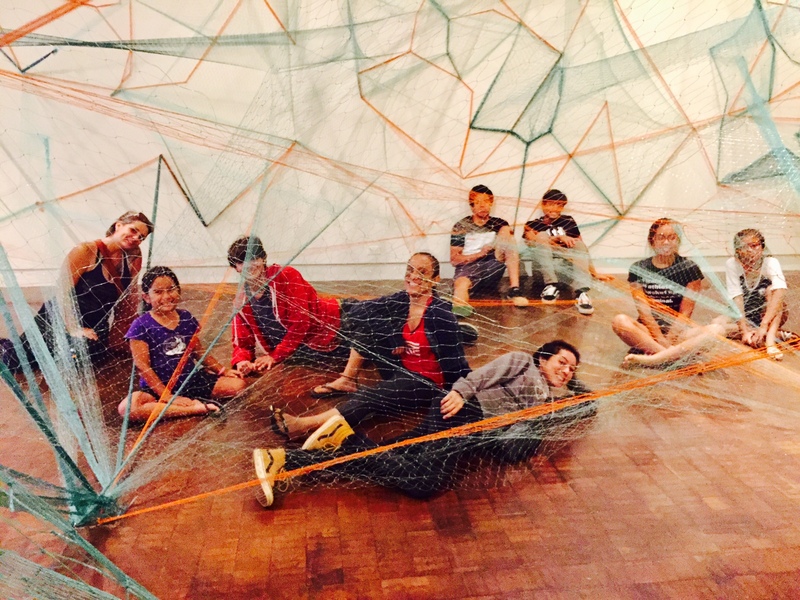 As they explored Artist of Hawai’i 2017—featuring installations that comment on intersectional networks of the body, environment, and community—it became clear how important it is for art education to connect with communities beyond assumed spheres of comfort. The experience taught us that programs such as Soundshop should be challenged to navigate the same physical and societal landscapes we ask the students to navigate to find their voice. Art education cannot be complacent within existing networks of arts and culture but should push the boundaries of those networks and not be afraid to redefine it. If the students can find themselves and shape their community’s path with words and music, Soundshop can too. On March 26, Molokaʻi students Kapili’ula Naehu-Ramos, Cobra Curtis, and Trishalynn Keanini competed in the individual slam competition. They won the team “Identity” award for their unique voice, making the Soundshop instructors proud. The Molokaʻi trip helped Soundshop find its voice as well. 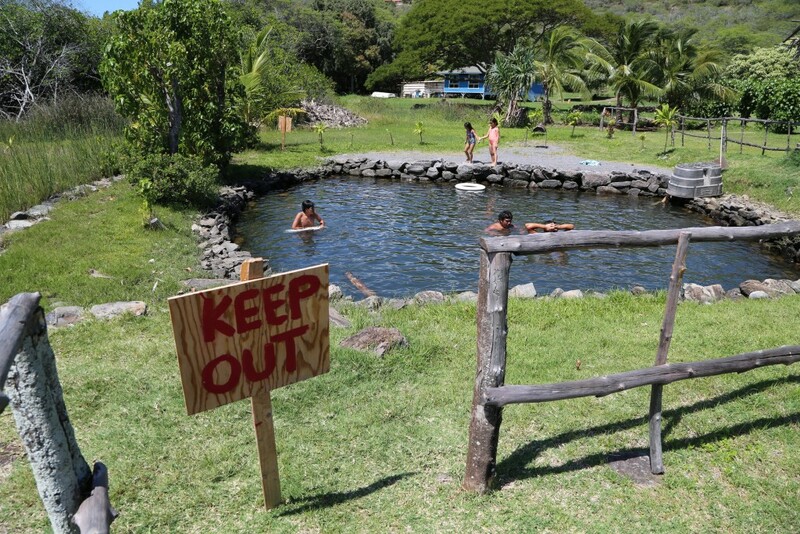 From contemplating arts and culture in the galleries to discovering arts and culture at Keawanui Fishpond, Soundshop had an aha moment as the program helped unearth distinct community voices. “I really felt this program can reach any classroom, any space, and each and every type of student,” says Ohtoro. In 2013, the museum launched Soundshop, a hip-hop music education program designed to help high school students develop independent thinking and self-confidence. 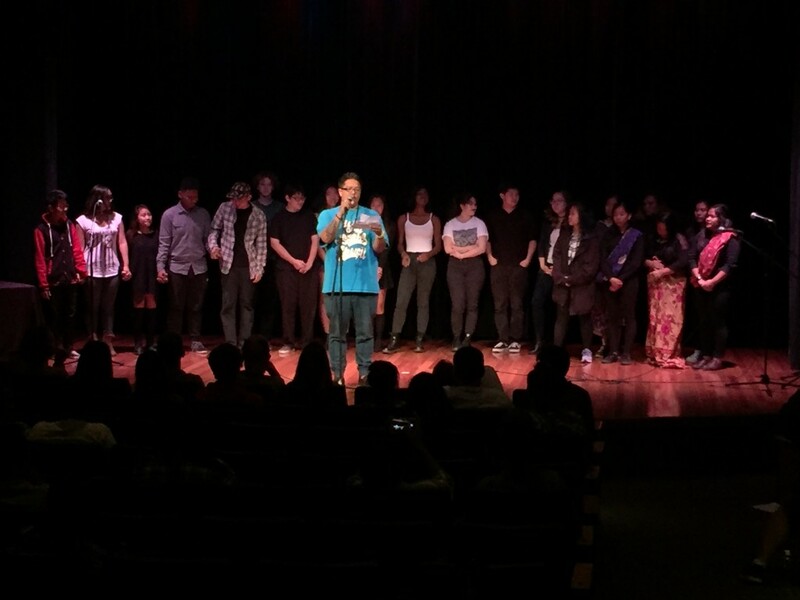 Created in partnership with local trio Super Groupers, the program started as a bold experiment and has grown into a singular program that now has more than 400 high school students a year expressing themselves through lyric- and beat-writing as they explore the complexities of identity and community. The Supergroupers—Navid Najafi, Scott Ohtoro, and Illis It—along with respected emcees from Mākaha Punahele and Rukka, recognized the need for more music education in schools and understood hip-hop’s ability to promote critical thinking and community building. Through the workshops, they teach high school students the basics of lyric writing and beat making as tools for expressing their personal stories and those of their communities. The program combines art, music, and youth culture in a way that infuses new energy into the museum’s galleries and allows for a dynamic exchange of ideas. The galleries have offered endless content for inspiration. Soundshop uses special exhibitions as platforms for discussion on cultural identity, and through music, students comment on the gallery themes and connect those themes to their own lives. Over the past four years, Soundshop has engaged students from Farrington High School, Waiʻanae High School, ʻAiea High School, and Pearl City High School. The number of participating schools is growing as the program evolves.